When I start living in Australia, I could not speak English well. I could not understand peoples’ talking. It was totally lost translation. However, when I showed Australian people my art works, people reacted so honestly and kindly. Australian people have different idea to see arts from Japanese people. More over, international people like Japanese culture, that more than Japanese people expecting. I was so impressed and I thought that it’s good idea to share this experiences with my friends. Many my friends are Japanese artists and craftsmen, because I graduated art university in Japan.They are making great arts in Japan. But, they are so shy, couldn’t speak English and don’t know how to present their arts to overseas. Thanks for developing technology in this world. I can use WordPress and FB. They can deal with many languages. I started blog and FB community for introducing interesting Japanese art works in English. So it’s translated from Japanese to English. In the end, I thought that it’s good idea to have online shop to sell Japanese arts to all over the world. So, Japanese artist can introduce and sell their works. On the other hand, oversea people, who is interested in Japanese art , can purchase Japanese art. I hope you like it. We are so impress you visit and enjoy beautiful art works from Japanese local artists. Thanks for supporting this page! We announce special news today. We start online shop. 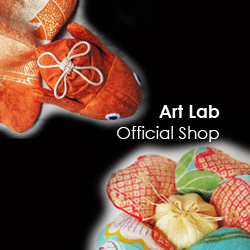 This shop helps you to see and purchase Japanese art works, which is made by Japanese local artists. We wish you feel much familiar to Japanese art by using this shop. And much understanding about Japanese culture by reading FB community and this page. 2 Responses to "Start Shop for Japanese Artist"
This is a great idea! I love the products on your website. Maybe for my next birthday I will ask someone to give me that serving spoon 🙂 Good luck with your new shop.